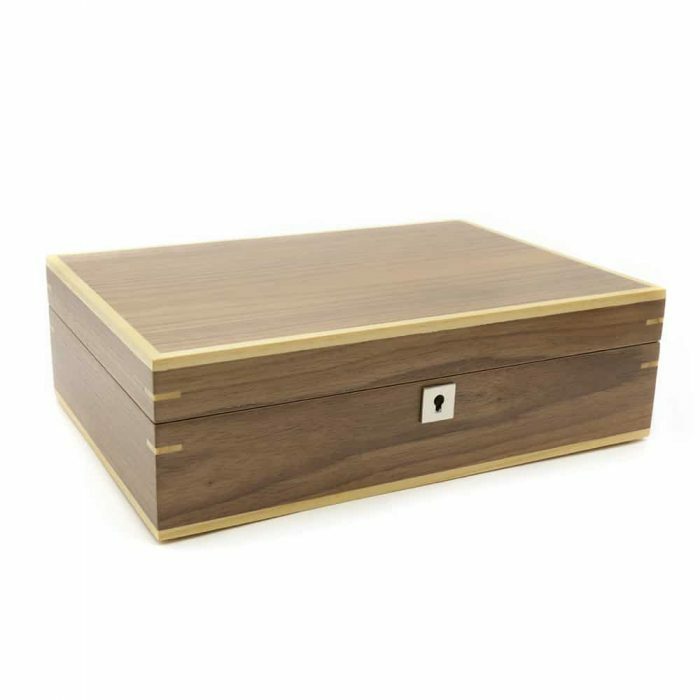 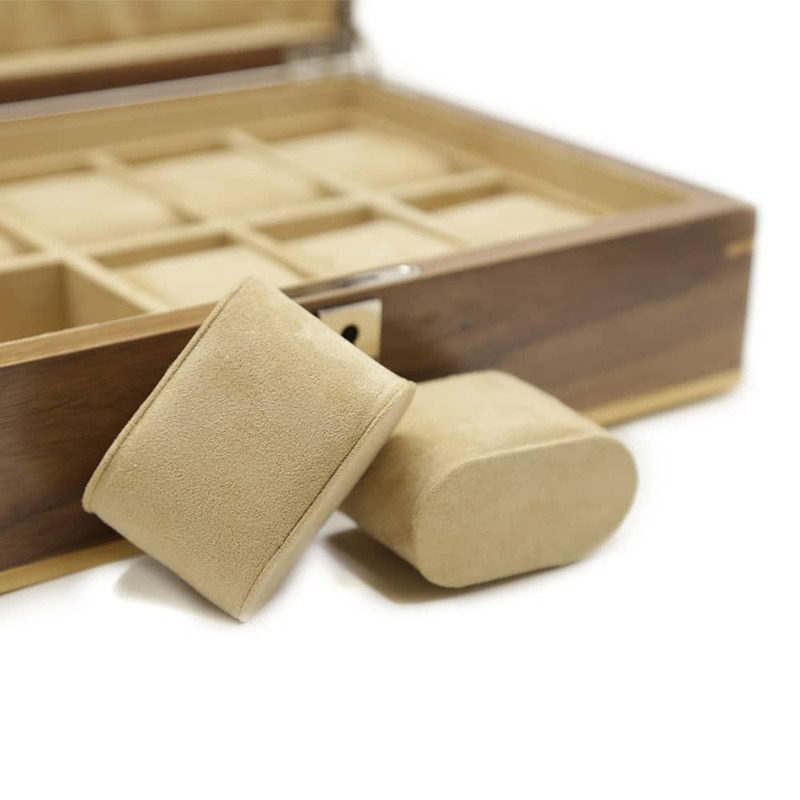 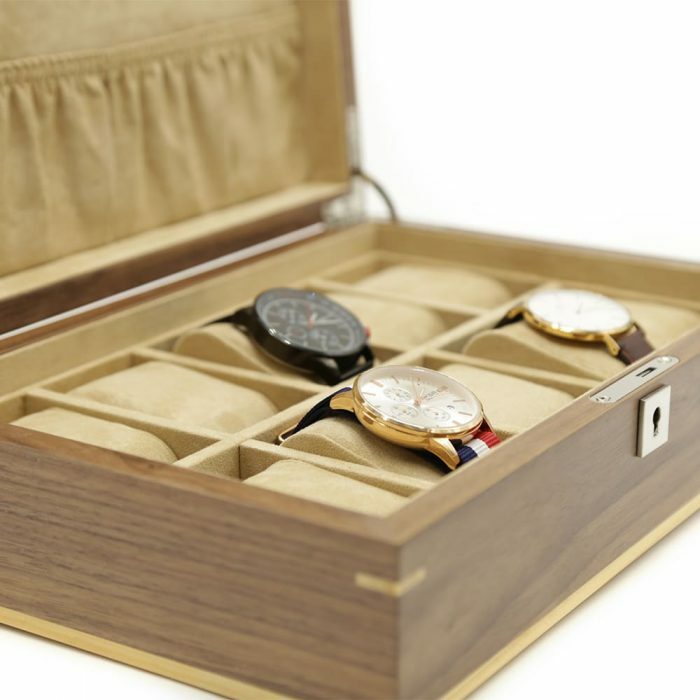 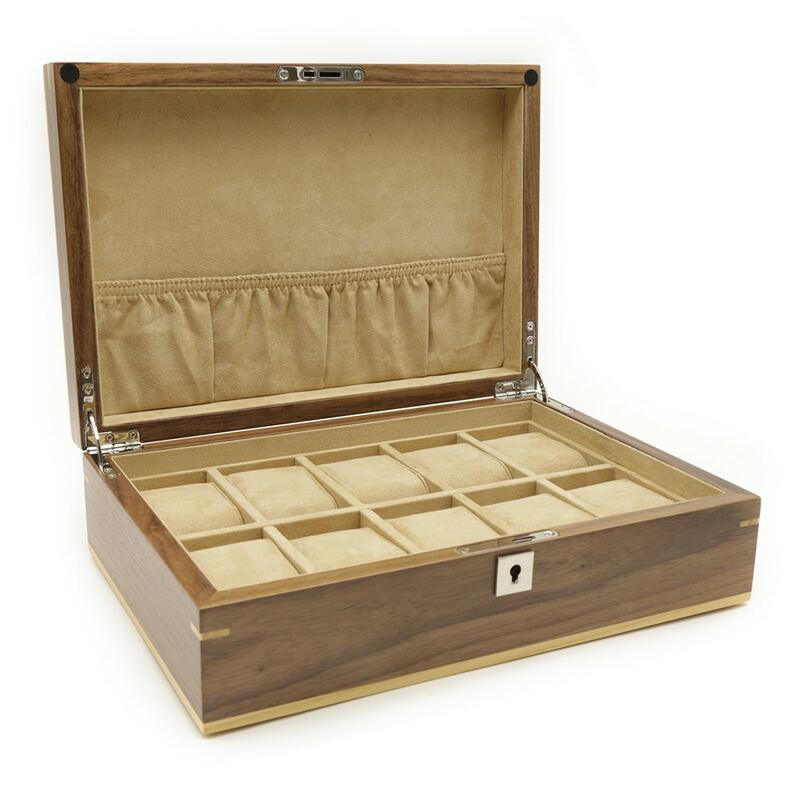 This Handmade Walnut 10 Slot Watch Box features exquisite craftsmanship coupled with reliable storage security. 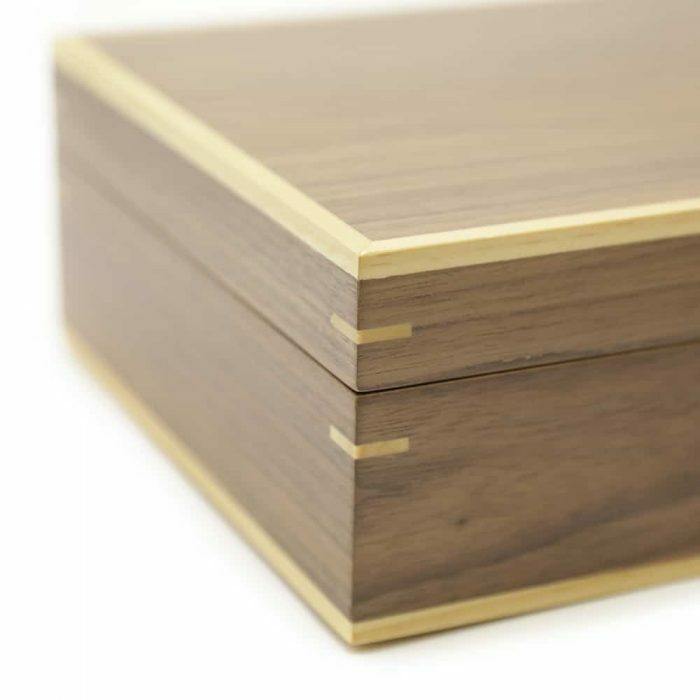 The exterior comes in a stunning walnut veneer with a light oak trim with a matte finish. 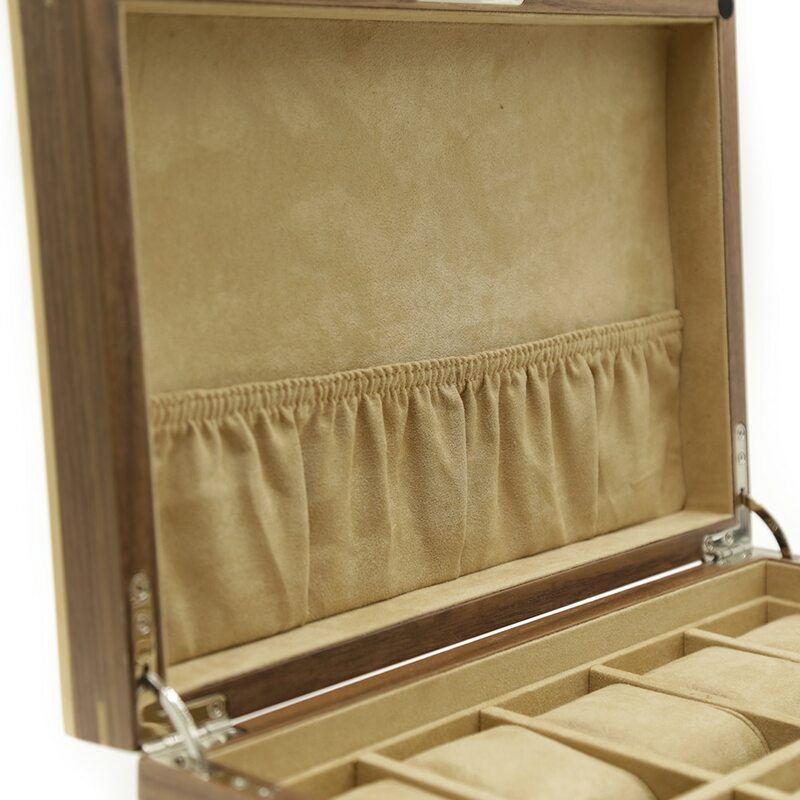 The interior is lined with a soft, high-quality caramel velvet material to ensure your watches are scratch-free. 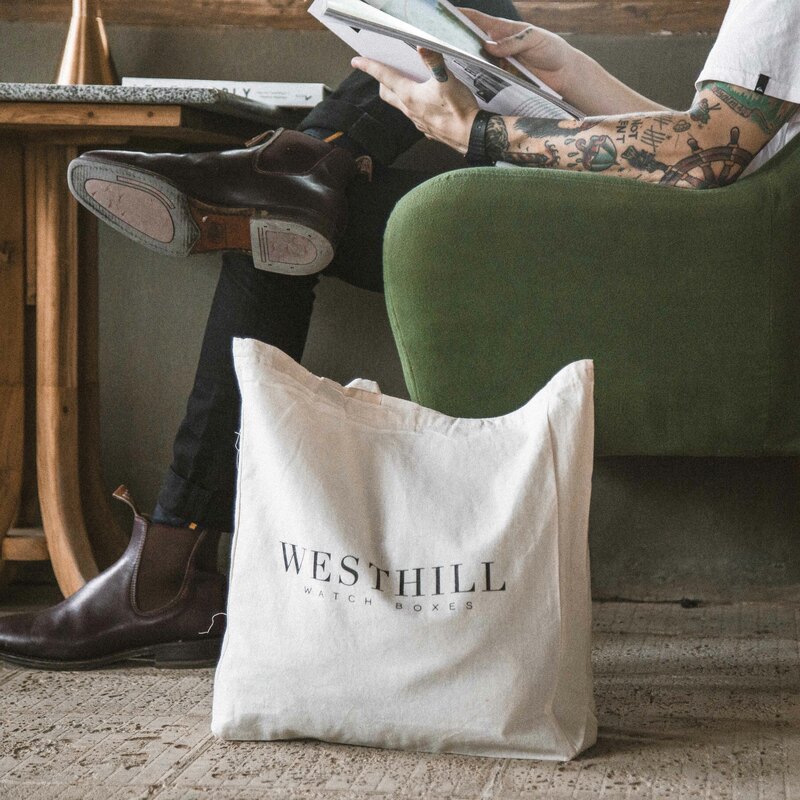 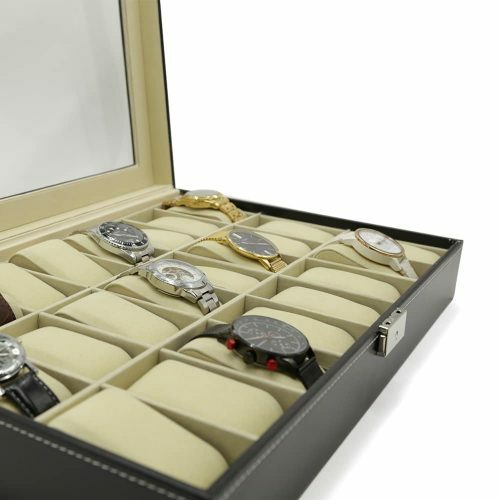 Inside, there’s an extra storage pocket for cleaning supplies and cufflinks, rings, watch warranties and other valuables. 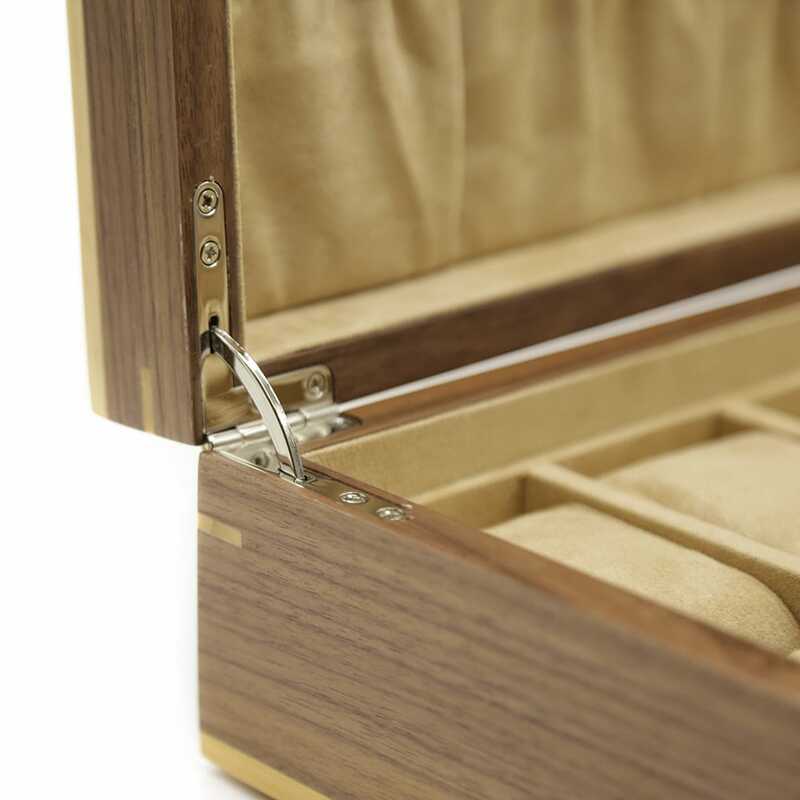 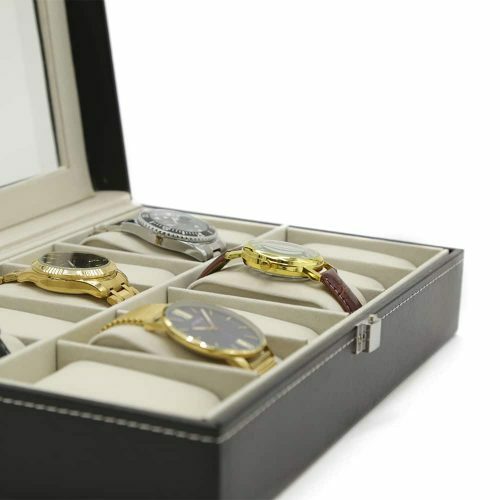 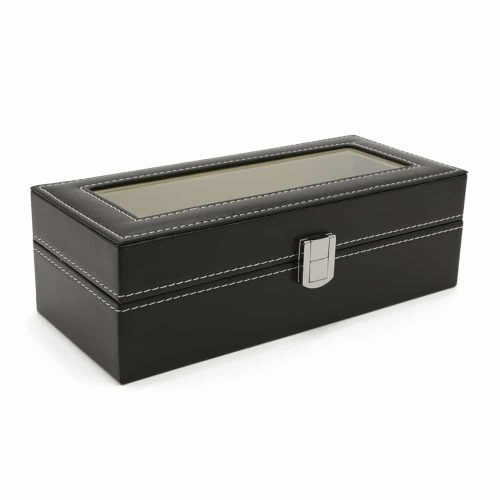 To protect your valuables, this watch box comes with a lock and key to ensure your watches are stored safely and dust-free. 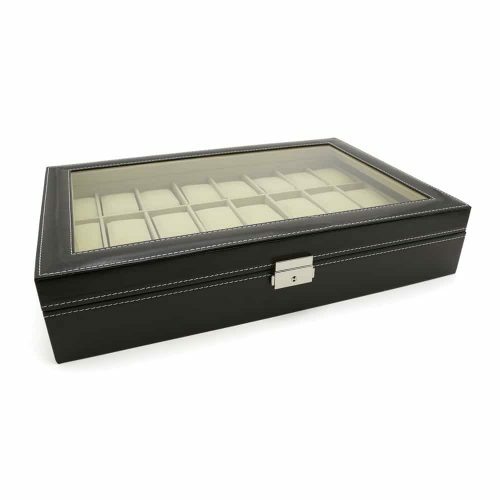 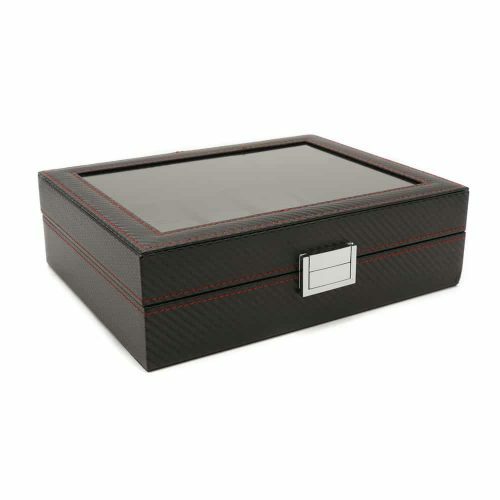 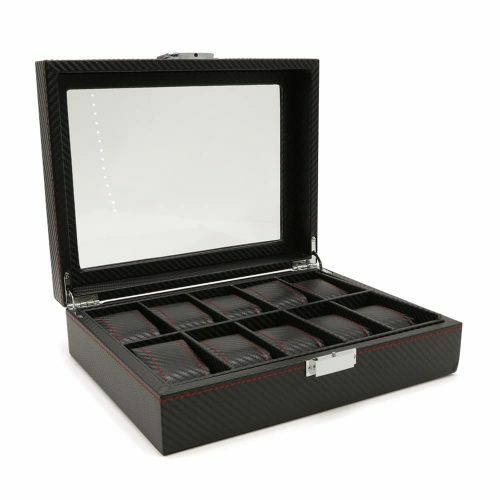 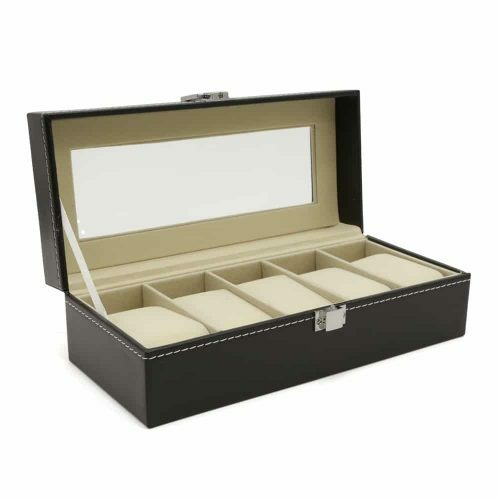 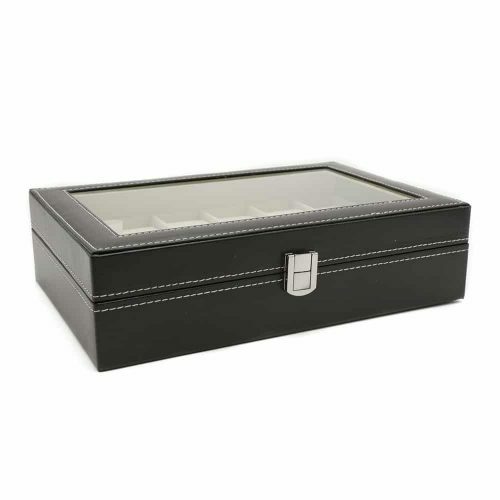 This watch box is perfect as a gift or as a decorative piece due to its beautiful and luxurious design.